Is your next event in need of top quality entertainment? Do you need an artist whose performance won’t offend your guests or make them feel uncomfortable? Comedian Jeff Allen is what you were looking for all this time. There’s a lot to say about this clean comedian. But the most important aspect is that his performance is brilliantly funny, safe for any audience, inspirational and motivational. Keep reading if you’re curious to find out why and how you can book Jeff Allen for your next event. Most viral stand-up comedians use insults and cursing to create their humor and performances. While it may appeal to some, it surely offends others. It also makes for a complete no-go as entertainment for events. Your event will be unique and memorable. When your guests see Comedian Jeff Allen will be performing on stage, they will understand it is something they have never attended before. You’ll get more guests. Having a world-renowned comedian like Jeff at your event is like a magnet for your guests which will also make it easier for you to achieve your goals. You get family-friendly jokes. Will your guests be anything from small children to grandparents? Jeff’s humor can be understood and enjoyed by anyone. Jeff’s career started off on the wrong foot in 1978. He felt humiliated by the low-paying performances in clubs and the lack of respect. He went down the wrong path, declared himself an Atheist and started using drugs and alcohol. In 1987 he got sober, but he needed 10 more years to become a born-again Christian. However, during this time, he was able to work on his act as well, turning it into a clean performance in the style of Jerry Seinfeld. Churches became will not venue for his act, which, unless specifically requested, is devoid of Christian references. In fact, the majority of Jeff’s material draws from his 30-plus-year marriage to his wife, Tami, and a father of three. He recounts how they took a troubled marriage on the edge of failure and turned it around through love, laughter, and understanding. You should also know Jeff and his wife have toured and performed together. Jeff has had significant appearances in critically acclaimed comedy films and comedy specials, the most renowned being the Apostles of Comedy, Thou Shalt Laugh and Happy Wife, Happy Life. Additionally, Jeff Allen also performs for various corporate events and fundraisers like The Pennsylvania Bankers Association, The Estate Planners Group, Chick-fil-A, Booth Energy and BG Products. The most difficult part of organizing an event is not dealing with the catering services or putting in time to find the ideal venue, but trying to find entertainment. It might not seem hard, but making sure all your guests’ needs in terms of entertainment are met is no easy task. However, you no longer need to worry. Book Jeff Allen comedian extraordinaire as your entertainment and you’ll never regret it. What makes his act so great? While his humor is called “Clean Comedy”, it has nothing to do with being preachy and overzealous. It’ all about having good, clean fun. This is what Jeff Allen comedian extraordinaire is all about. Why Is Clean Comedy So Important Anyway? While tame humor is not necessarily the only type of comedy you can go with, it is the best option for more formal events, such as fundraisers, charities, weddings and corporate parties. Hiring foul-mouthed entertainment for these events is like walking through a minefield, since you never know which people will be set off because they were offended. You’ll add a dash of uniqueness to your event. Let’s face it: There are few event planners who actually think clean humor is an important factor. By choosing a performer who stands out from the rest, you’ll definitely impress your audience. You’ll get to rest easy knowing that nobody will get offended and storm off, making your event a huge failure. While the success of the event needs to be prioritized, it’s also important to do everything you can to keep everybody in good spirits. You’ll definitely set a good example for your company or charity and increase their reputation. Also, the guests will appreciate the fact that you went through all that trouble to find a performer who caters to everybody’s needs. So Why Is Jeff Allen Comedian Extraordinaire Your Best Option? 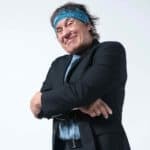 Besides the fact that he combines clean humor with wit in unexpected ways, he also has the experience to back up his claims of being the world’s funniest and most inspiring comedian. Jeff has had major appearances in critically acclaimed comedy films and comedy specials, the most renowned being Dry Bar Comedy, Apostles of Comedy, Thou Shalt Laugh and Happy Wife, Happy Life. Moreover, Comedian Jeff Allen doesn’t just appear on various television and radio shows. He also performs for various corporate events and fundraisers, specializing on the former. The Pennsylvania Bankers Association, The Estate Planners Group, Chick-fil-A, Booth Energy and BG Products can all vouch for his skills and experience. Also, he has over three decades of experience working in the entertainment industry, so you know you’ll be working alongside an expert. Provide your guests with top-shelf clean comedy and they’ll surely be grateful. 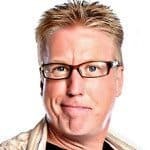 Make your next corporate party of fundraiser a hit with professional comedian Jeff Allen and people will soon be begging you to organize another one. How to Book Jeff for Your Next Event? Easy! Offer your guests some of the best humoristic performances out there areand they will surely repay you with their respect – and their donations, if you’re organizing a fundraiser. Booking Jeff Allen is also an easy process: just get in touch with us online or call right away at 615-283-0039.